CAIRO, November 16./Corr. TASS Dina Pyanykh, Dmitry Tarasov/. 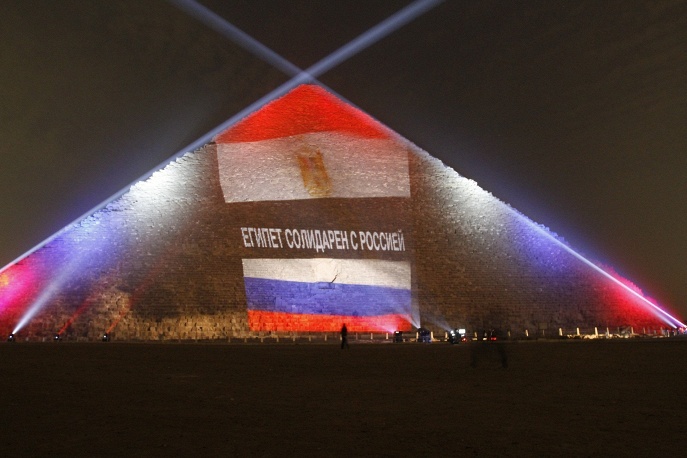 Ancient Egyptian pyramids were illuminated Sunday night in the colors of the flags of Russia, France and Lebanon in solidarity with these countries that lost their citizens under tragic circumstances. Egyptian authorities decided to hold a memorial at the Giza plateau in Cairo at the foot of the Great pyramids in memory of the victims of the A321 crash on the Sinai Peninsula in Egypt on October 31, terrorist attacks in Beirut on November 12, and Paris on November 13. Although the investigation of the crash is not yet completed and official results are not announced, one of the prevailing theories is that the plane broke up in the air to pieces from an explosion, not connected with technical condition of the plane. Some experts believe that the cause of the death of 224 people on board was a terrorist attack. Terrorist attacks claimed the lives of 129 people in Paris and 44 – the day before in Beirut. As stated by the Minister of Tourism of Egypt, Hisham Zaazu, “this is an action of solidarity with all peoples of the world who suffer from terrorism, including France and Lebanon, as well as Russia, in memory of the victims of the tragic disaster”. 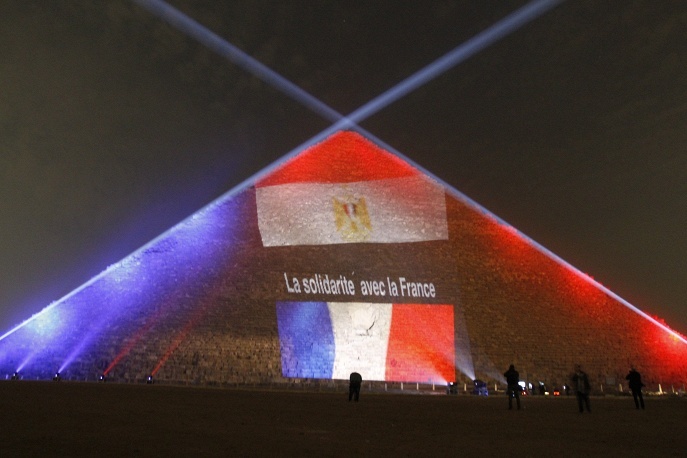 According to the Minister of Affairs of Antiquities of Egypt, Mamdouh al-Damati, with their action at the pyramids the Egyptians want to convey to the world “the message that they are against terrorism, stand with the peoples of France and Lebanon who had been subjected to inhuman attacks, as well as with Russia and families of the victims of the tragic plane incident”. “We have repeatedly reiterated that we stand united with the entire world in the fight against terror which does not differentiate between religions and nationalities and which itself does not have a religion or homeland,” – he added in an interview with TASS. 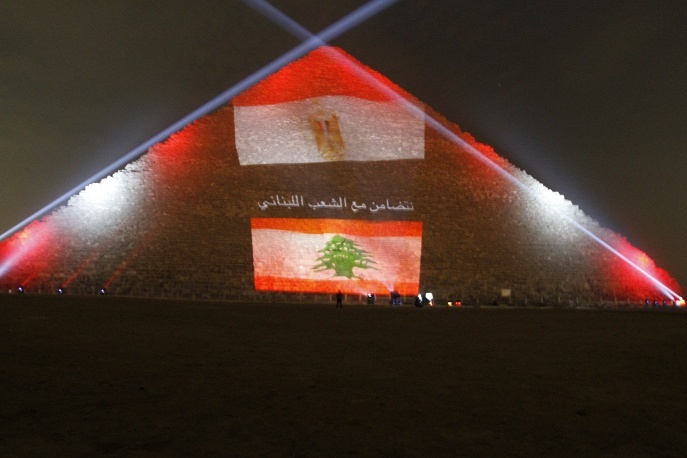 The pyramid of Cheops – the largest at Giza, became the screen for the message of solidarity in Russian, French and Arabic on the background of flags of the three states. The crowds lighted candles and honored the memory of the untimely deceased with a minute of silence. Nothing is known yet about why the plane went down. All passengers and crew were killed. It was flying from Egypt to Russia. Several planeloads of Russian specialists have flown to Egypt to take part in the search and salvage. The black boxes have been recovered. Officials plan to begin flying the remains of passengers that have been found back to Russia today. 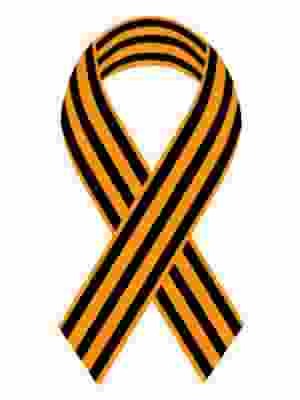 Today, Sunday, is a national day of mourning in Russia for this tragedy.